"Kirkland’s is a leading specialty retailer of home décor in the United States, operating approximately 303 stores in 29 states. The stores present a broad selection of distinctive merchandise, including framed art, mirrors, candles, lamps, picture frames, accent rugs, garden accessories and artificial floral products. The stores offer a unique combination of style and value that has led to our emergence as a leader in home décor and has enabled the company to develop a strong customer loyalty." 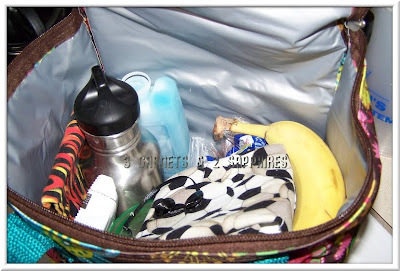 I was sent a beautiful reusable lunch tote to review, which I was grateful to get. I’ll be honest and say I wasn’t aware of the Kirkland’s brand when I was offered this lunch tote, but was thrilled to be offered something girly to use for myself. Being the mom of two boys, I don’t usually get to have pink and frilly things around, so I chose the girliest print they had. 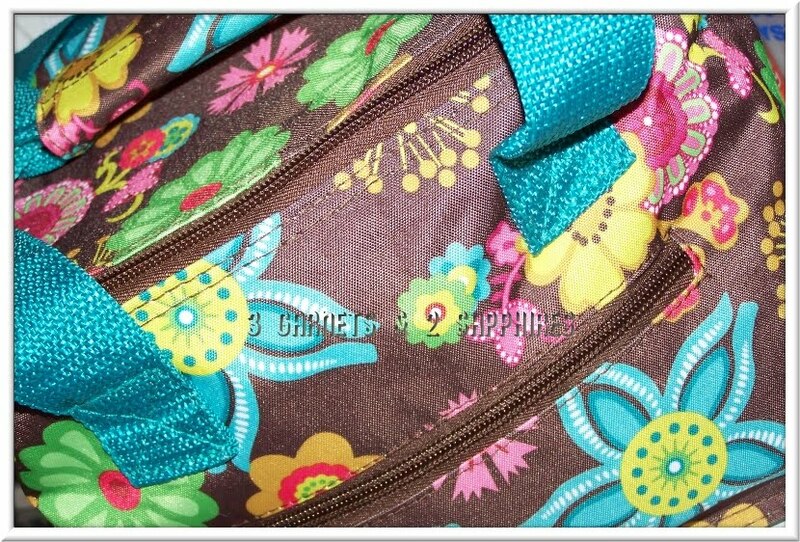 This lunch tote is very large, much larger than I had expected, and its print is both stylish and beautiful. It boasts that it holds up to 6 beverages, I believe that. It has a durable handle, a zipper closure, is insulated, and has a storage pouch in the front, perfect for utensils and napkins. It is very durable and will last for a long time with gentle use and is big enough to hold any lunch or even lunch for a couple people. 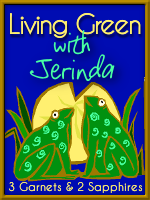 It can be considered a Green product, too, because it is reusable and reduces waste. If you wanted to be really wasteless, you could even use reusable items inside to eliminate all garbage in your lunch. As I said, I wasn’t familiar with Kirkland’s before, but am now and know that I can expect good quality items from this retailer. 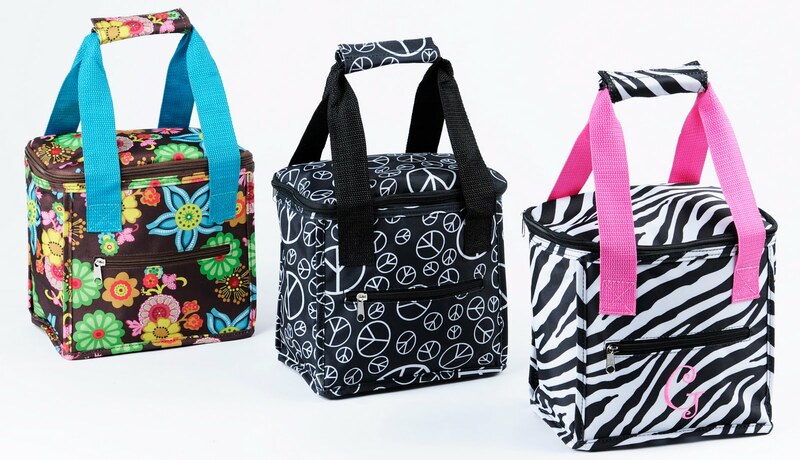 This Kirkland’s Lunch Tote retails for $9.99 and is available in-store only. Visit Kirklands.com to view their vast selection of home furnishings and MyKirklands.com to join in on discussions with other shoppers like yourself. Thank you to Kirkland's for providing us with a complimentary product sample to base this review upon and for providing a second product for our contest prize. One lucky reader will receive an Insulated Lunch Tote in the brown print (If the print is out of stock, then a substitution will be made.). This giveaway is open to U.S. entries only. You do not need to be a blogger to enter, but you must have a valid email address and be age 18 years or older. If you enter anonymously and do not include a valid email address in your comment entries, I will not be able to notify you should you win this random drawing. Click here to read the official contest rules. Browse the selection of home furnishings offered by Kirkland's online. Then leave a comment telling me the name of one item that would make a perfect addition to your home. You MUST do this to be eligible to win this contest. 3) For 10 extra entries, join the Kirkland's email list. Then come back here and leave TEN separate comments telling me you did. This contest will be closed on Monday, January 31st, 2011 at 11:59pm EST. A random number drawing will be held shortly after. The winner will be announced here and will be contact via email or through their blog. If the winner does not respond within 48 hours, a new number will be drawn.